Nintendo's DLC Won't Compromise "Complete Experience"
Nintendo says paid add-ons for the 3DS will include extra levels and upgrades, not content that should have come with the game. It's easy to forget that while every PS3 and Xbox 360 game seems to have DLC add-ons required by law, Nintendo has been more hesitant to add extra content to its games. Oh, it's there if you know where to look: you can get Rock Band songs on the Wii or extra Professor Layton puzzles on the DS, but for the vast majority of Nintendo titles, what you see out of the box is what you get. An upcoming 3DS update will open up the 3D handheld's eShop for all manner of paid DLC, but Nintendo promises that this will not be an excuse to ship incomplete games and finish them later. According to Reggie Fils-Aime, President of Nintendo of America, developers intend to ship "complete experiences" and use DLC only to augment finished games with even more content. Fils-Aime made his feelings clear during a recent interview when he stated that 3DS developers have no intention of selling half-finished products. "[We're] unwilling to sell a piece of a game upfront and ... force a consumer to buy more later. That's what [the developers] don't want to do, and I completely agree. I think the consumer wants to get, for their money, a complete experience, and then we have opportunities to provide more on top of that." This sounds like a fine strategy for internally-developed titles, but it's unclear whether third-party developers will play by these rules, or whether Nintendo will attempt to make them. During the interview, Fils-Aime hit on a few other topics, including the possibility of free-to-play DLC titles, Nintendo's upcoming casual games, and the rapid encroachment of iOS and Android on the handheld market. 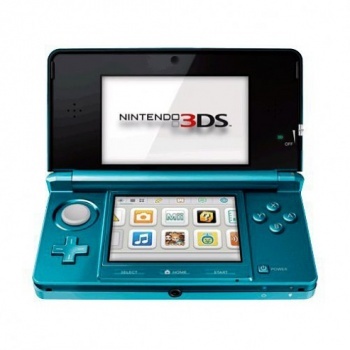 Fils-Aime remained fairly coy about free-to-play titles, but promised that casual titles for the 3DS are inbound, and that Nintendo's deep portable experiences would continue to differentiate it from the cheaper, shorter fare on smartphones. In spite of that, the eShop will be coming to iOS soon, so Nintendo may be trying to gauge the market. Overall, the "ship complete games, provide extra paid content" is a solid idea, but that was basically the impetus behind DLC on the Xbox 360 and PS3 at first. Needless to say, it hasn't always turned out like that. The 3DS eShop may act as a bellwether for how the upcoming WiiU will handle DLC, so keep an eye on upcoming 3DS releases. If the next Zelda game has an extra dungeon available, great; if it has an extra five that were supposed to go somewhere between the midpoint and the final boss, we may be in trouble.